Because we were in the mood for desserts, which seldom happens to me, we went to a place where our small family’s sweet cravings would all be met, Cara Mia Gelateria. We had two cups of gelato ice cream, one slice of cake and one ensaimada. I wanted the less sinful dessert, so my choice was the No-Sugar Added Strawberry gelato ice cream. I also bought a cup of the No-Sugar Added Cioccolato gelato ice cream for our young man who’s very fond of ice cream, by the way. Both cups had just the right amount of sweetness we needed to satisfy our sugar cravings, and because they’re gelato, they’re healthier than the normal ice cream, so I was content. Hubby ordered a slice of one of Cara Mia’s bestselling cakes, the Pistaccio Cioccolato. 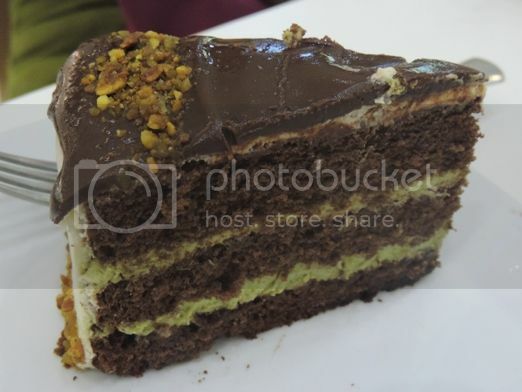 It’s a chocolate-flavored chiffon cake with pistachio filling topped with deep dark chocolate. It’s fluffy, moist and chocolatey but not too sweet. I highly recommend this to people like me who don’t want overly sweet stuff. After his No-Sugar Added Strawberry gelato ice cream, he still wanted to eat more, and he wolfed down half of the Ensaimada we bought for our helper. He said it’s yummy. That’s what my son always says when he finds something that he likes. Our dessert time turned out great because everyone was happy. 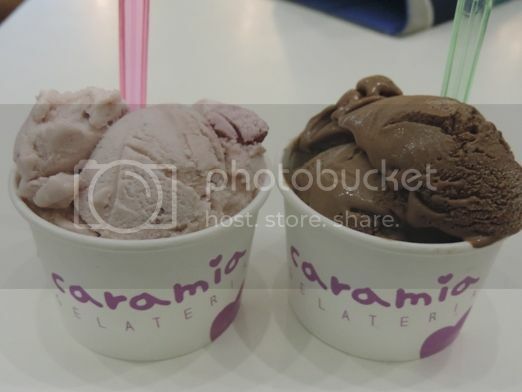 This entry was posted in Cara Mia Gelateria, Dessert, Robinsons Galleria. Bookmark the permalink. OMG! I hate you! hahaha! I lovedesserts and you made me cravefor everything! 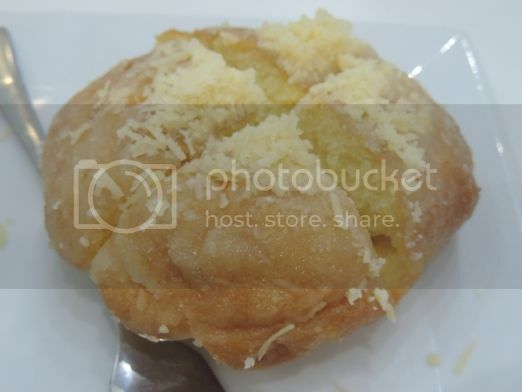 if Justin said the ensaymada is yummy, then I believe him. Cara Mia has the best gelato! I’m a fan even way back when it was still part of Amici de Don Bosco in Makati. Ok. This post made me crave for deserts! I love pastries so much that I think it’s what causing me to gain weight. I will ask my husband to bring some of their cakes sometime.